Welcome to SEE's John Winthrop Wright Ethics in Action Award page. With this award, SEE honors a leader who has authentically demonstrated ethical business or leadership practices. John Winthrop Wright founded SEE in 1995 and left a major donation from his estate to perpetuate SEE’s mission. Mr. Wright desired to promote internationally respected values such as-- fairness, respect, responsibility, caring, justice, honesty, courtesy, citizenship, and the principles of the Golden Rule. The Ethics in Action award is given in his name to recognize a business or community leader that demonstrates a commitment to ethics and character. SEE is grateful to acknowledge Emmy Award nominated Jocelyn Maminta, Co-Anchor and Medical Reporter for WTNH will MC the 2019 Celebration where Larry L. Bingaman will receive our 2019 John Winthrop Wright Ethics in Action Award. 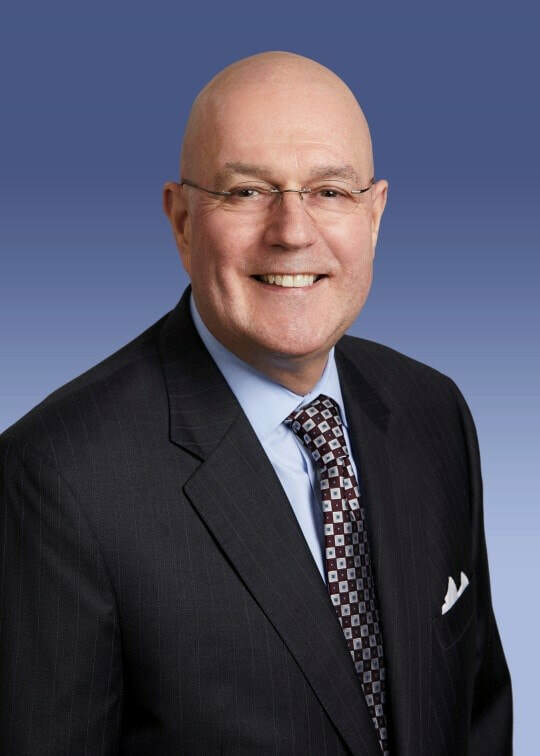 Larry “Bing” Bingaman, President and CEO of the South Central Connecticut Regional Water Authority (RWA), will be recognized by SEE at its thirtieth-annual Character Celebration on May 1 in New Haven. Mr. Bingaman was nominated for his commitment to ethics in his personal and professional life, and the specific support and leadership he has provided to the Conscious Capitalism movement and the founding of its Connecticut Chapter. Larry leads with a keen focus on sustainable and conscious business practices and is deeply involved in the New Haven community. He is the immediate past chairman for the Greater New Haven Chamber of Commerce Board and serves on the President’s Executive Council for Gateway Community College, as well as the Business Advisory Council at Southern Connecticut State University. Larry is a 2016 inductee to Gateway Community College’s Hall of Fame and received the college’s Corporate Award for his commitment, dedication and support of higher education and social change. He is also a 2017 inductee to Junior Achievement’s New Haven Business Hall of Fame for his contributions to the prosperity of the region through his leadership in business and to the community. Larry and his wife Martie are 2017 Alexis de Tocqueville Society award recipients for their personal leadership, contributions and long-time commitment to United Way and the community at large. He is also a founding partner for New Haven’s Social Venture Partners and founder and Chairman of the Connecticut Chapter of Conscious Capitalism. Larry holds a Bachelor of Science degree in business administration from California State University at Long Beach and an executive MBA from the University of New Haven. An honorary Associate’s degree was conferred upon Larry at Gateway Community College’s 26th Commencement Ceremony in 2018. He is currently pursuing a PhD in Leadership and Change from Antioch University. Guest are invited to attend Larry’s Ethics in Action Award presentation on May 1 and will find complete invitation and RSVP information in the right column of this page. Pictures of the 2018 Celebration below.